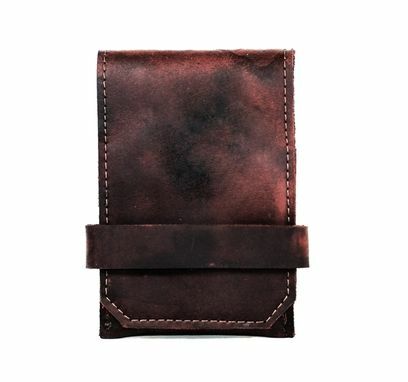 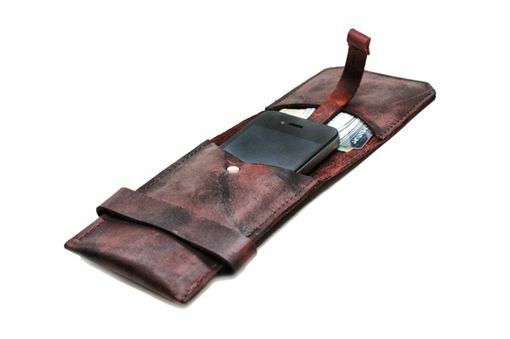 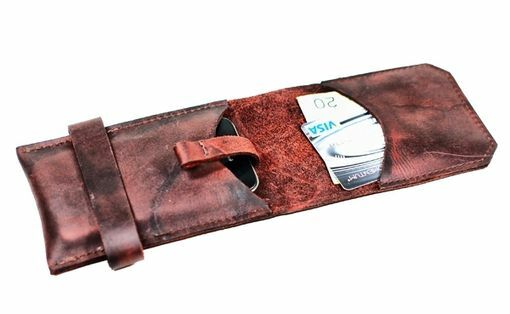 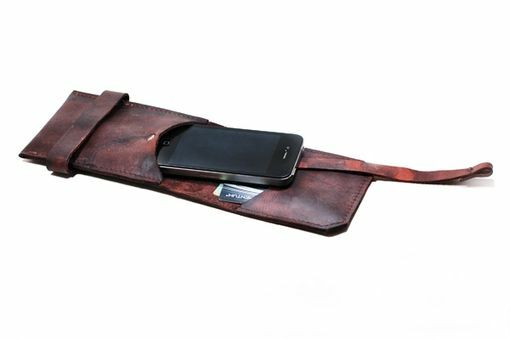 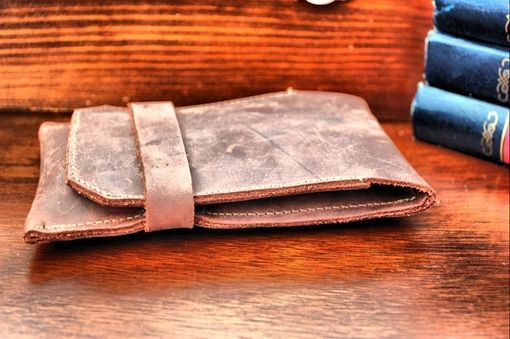 Designed to fit an iPhone4 (or any phone with similar dimensions), this sleek leather case doubles as a wallet with space for your essential cards on the flap – now you can always have your vitals together. Built off of our signature pop-up card wallet design, this iPhone case has a pull tab that means you don't need to dig around for your phone: simply pull on the tab, and the phone pops up! 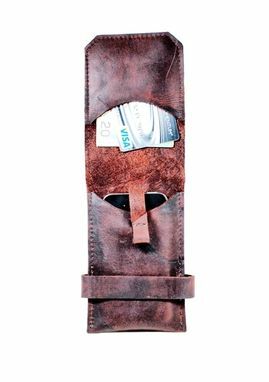 Made with rich, oil tanned cowhide leather, strong leather-grade nylon thread, and a leather strap closure that the top flap slips into.